The Energy Potential Parts; Every surface or energy field is divided with one half as positive energy potential and the other other half as the negative energy potential. The Northeastern half being the positive and the Southwestern half being negative. Strong and Weak Areas; Each side of an energy field has a strong and weak half.The Northern and Eastern half is always the strong. Energy Potential Change; a) Water increases the energetic potential of a sector. b) Weights decrease the energetic potential of a sector. c) If more space is available vertically and horizontally in a certain direction a sectors’s energetic potential is increased. The Effect of measures; The units of the natural Vasati measurement system follow a cyclic energetic rhythm that is defined by the number 8. Energy Lines and Energy Spots in Space; Space possesses an energy grid with energetic key points that is defined by its perimeters. Energy Quality of Grid Fields; Space is divided into 81 different fields of qualitative energy that are arranged in 5 concentric rings. The Radiance Quality of the 8 directions; Each of the 8 directions is ruled by one of the 9 planets. 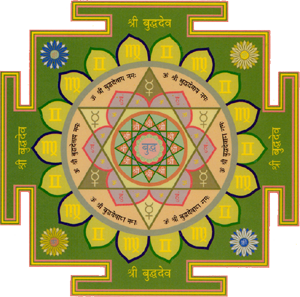 The Influence of the Planetary Aspects on The Living Space and On the Life of the Inhabitants; The various aspects of living space and space functions as well as the various areas of life of its inhabitants are being influenced by the radiance qualities of the 9 planets. The Interaction of the Planetary Aspects; This law describes the interrelationship of the 9 planets. The planets relate to each other in either a friendly, neutral or hostile manner. Determination of the Individual Directional Qualities; Corresponding to their individual resonance on radiance, the 8 directions have a different effect on every human.